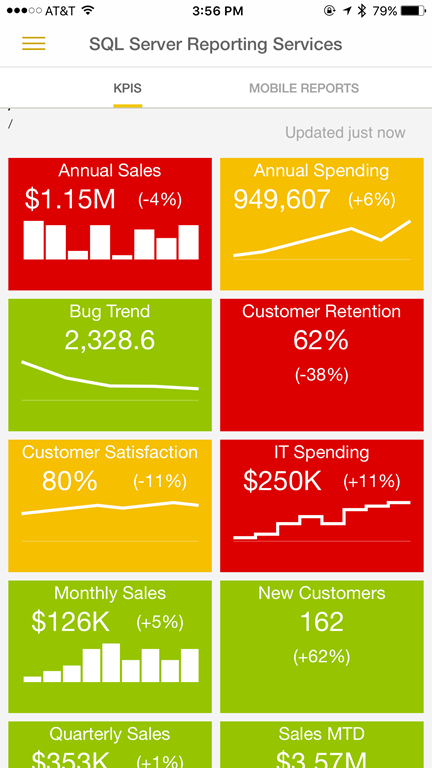 We are happy to announce a preview of the Power BI app for iOS with support for SQL Server 2016 CTP 3.2. With this update you can seamlessly bring your on-premises data to your mobile device and stay on top of your business from anywhere with out of the box mobile reports and KPI tracking. Industries such as banking require that organizational data stay on-premises, but that doesn’t have to be the end of your mobility story. With the new Power BI app for iOS you can continue to keep your data secure and still connect to it anywhere, anytime. Mobile reports are now built using Datazen, a technology solution that complements Power BI’s existing features. These reports are designed for customers who need a mobile BI solution implemented on-premises and optimized for SQL Server. 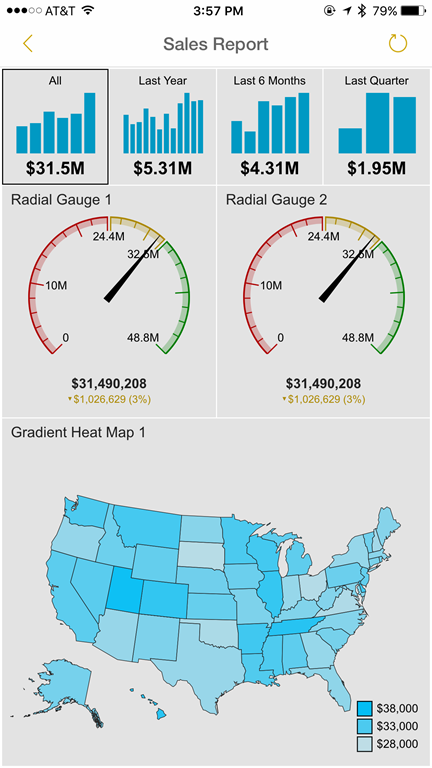 Whether you use SQL Server Reporting Services on-premises, Power BI in the cloud, or both, you will only need a single mobile app to access dashboards and mobile reports on the go. Our reports are optimized for every iOS mobile, with a responsive layout that adjusts to the orientation and screen size of your device. With this update, report drill-downs and KPI monitors are at your fingertips! All these updates are available in the Power BI app for iOS as of today, with no extra license needed. Read more about the mobile capabilities in our documentation. Update the app to get these and other improvements Questions or comments? Join Power BI mobile community today!